A neighbor helped an elderly woman escape without injury from a house fire Friday afternoon in Cornelius. 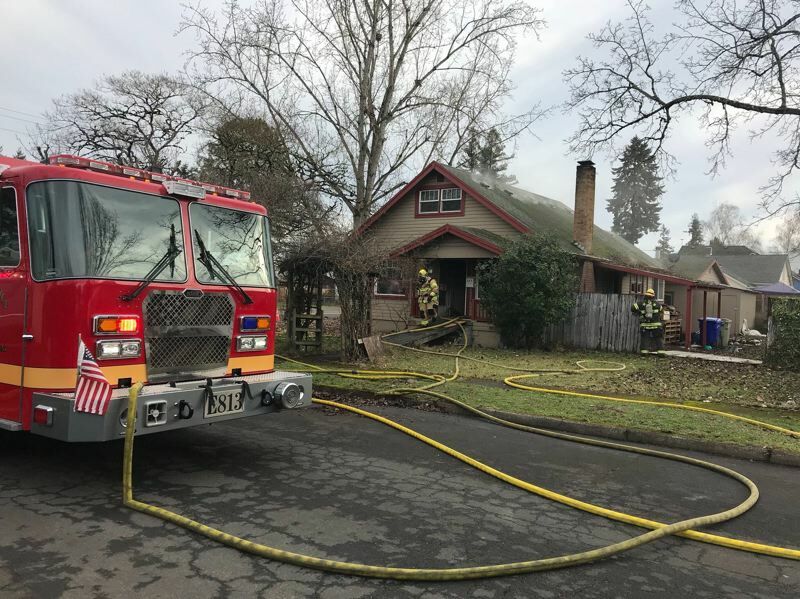 The Cornelius Fire Department responded to a residential fire in Cornelius on Friday afternoon, Jan. 11, where one elderly woman escaped without injury, thanks to a neighbor. A citizen reported flames coming from a house at the intersection of Beech Street and 10th Avenue just after 2 p.m., according to spokesman Matt Johnston. "We got reports that people were seeing flames, and we had reports that some citizen had pulled an elderly citizen out of the house," Johnston said. It took approximately 10 minutes to extinguish the fire, he said. "(The neighbor, Don McKeever) was coming home ... saw flames in the front window and he told the person he was driving with to 'stop,'" Johnston said. "That person stopped, she called 911 and then he got out and actually looked around and heard her yelling 'I'm in here, I'm in here.'" The resident, who was in a wheelchair at the time of the fire, was about 10 feet past the front door with the fire directly next to her when McKeever ran in and got her out, Johnston said. Both the woman and McKeever were uninjured and remained at the scene when firefighters arrived. "He literally saved her life," Johnston said. "We are thankful that A, he stopped and called 911 ... but he also stopped, got out, saw that she was in there and made the choice to go in and get her." While Johnston said citizens going into burning buildings without proper equipment is not condoned, they are grateful that neither of them were hurt in what was considered a life or death situation for the woman. The cause of the fire hadn't yet been determined as of Monday afternoon, Jan. 14, but investigators were able to determine it started in the living room and may have been caused by either the fireplace or something electrical, Johnston said. Two other residents lived in the home, but neither were home at the time of the fire, Johnston said. All three residents have been displaced and are being assisted by the American Red Cross.